The Partnerships for SDGs online platform is the United Nations’ global registry of voluntary commitments and multi-stakeholder partnerships made in support of sustainable development and the 17 Sustainable Development Goals. The Partnerships for SDGs platform also facilitates sharing knowledge and expertise among multi-stakeholder SDG-related partnerships and voluntary commitments, and for providing periodic updates on their progress. Do you know that by the year 2050, nearly 70% of the global population is expected to live in urban areas? There will be so many challenges ! 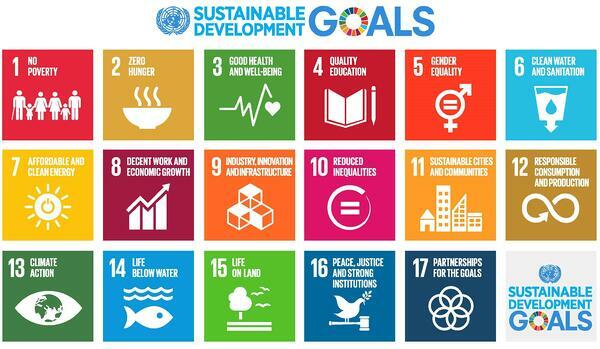 The United Nations (UN) Sustainable Development Goals , also known as The 2030 Agenda for Sustainable Development, is a set of 17 Global Goals, 169 associated targets, and 230 individual indicators. This international collaboration between 193 UN Member States and global organizations and agencies is outlined in the UN Resolution A/RES/70/1 established in September 2015. Prior to the SDGs, the UN launched the 2015 Millennium Development Goals (MDGs), a set of 8 Global Goals outlined in 2000. There were mixed reactions at the close of the 2015 campaign as to the success of the project. Most agreed that the absence of targets and indicators hindered actionable and measurable collaborative effort. This aspect was purposefully incorporated in the subsequent SDGs. The SDGs are seen as a step towards international collective impact efforts, focusing and guiding the interventions of humanitarian efforts around the globe. Many in the impact space are orienting their social impact metrics to the United Nations (UN) Sustainable Development Goals(SDGs) with the hope that convergence will make everyone better able to have a positive impact. What’s more, while they might be iterated upon over time, the SDGs aren’t going anywhere. So it might be worth looking towards alignment sooner rather than later. Of course, with such a global reach, there are some contextual considerations. While a global vision is important, context and the unique nature of your operations and environment cannot be compromised. The granular details of the atmosphere you operate in is important to take into consideration in order to measure for outcomes. 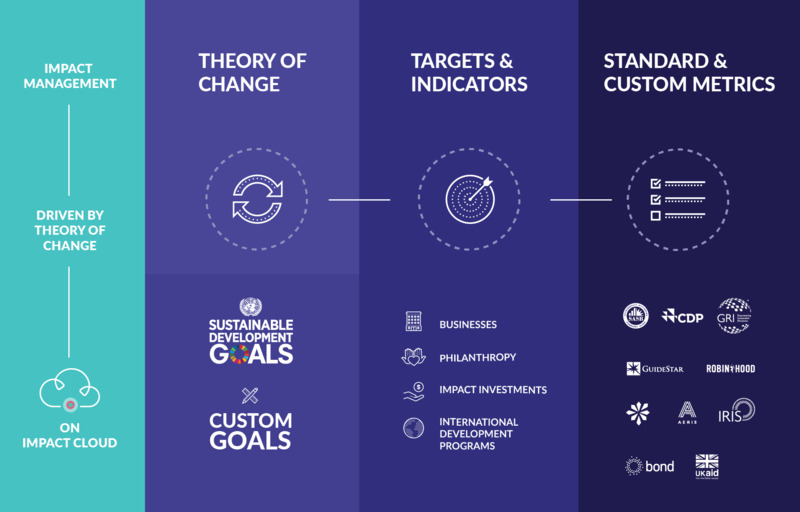 So, while you align with the UN SDG targets, understand that your outcomes are contributions to those targets, but you will need metrics or indicators that are closer to your scope. To do this, you will need to decide if the indicators outlined by the SDGs allow you to maintain the integrity of your results. This will differ depending on your organization’s focus area and your physical location. For example, if you are an organization working on Advocacy and Policy, the indicators will vary depending on the geopolitical context. Or if you are a big company trying to align your operations and value chain to the environment and sustainability-related targets, SDG indicators pose obvious limitations. In these cases, you might want to complement your SDG indicators with other standard metrics like IRIS and GRI. Global Reporting Initiative (GRI) is dedicated to sustainability reporting, transforming it from a niche practice to one now adopted by a growing majority of organizations. "GRI’s Sustainability Reporting Standards are foundational to this success. With thousands of reporters in over 90 countries, GRI provides the world’s most widely used standards on sustainability reporting and disclosure, enabling businesses, governments, civil society and citizens to make better decisions based on information that matters. In fact, 92% of the world’s largest 250 corporations report on their sustainability performance." GRI recently linked its sustainability indicators to the SDG indicators in this SDG Compass. This guide allows those reporting on sustainability to participate in the global dialogue around the Sustainable Development Goals. Toniic is the global action community for impact investors. Their alignment strategy for the SDGs is a hybrid approach that fuses the Goals outlined in the SDGs with IRIS indicators. Toniic's hybrid approach is followed in their new T100 Project, a tool for impact investors to converge around the SDGs while adhering to the context of their unique activities, environment, and investment requirements. 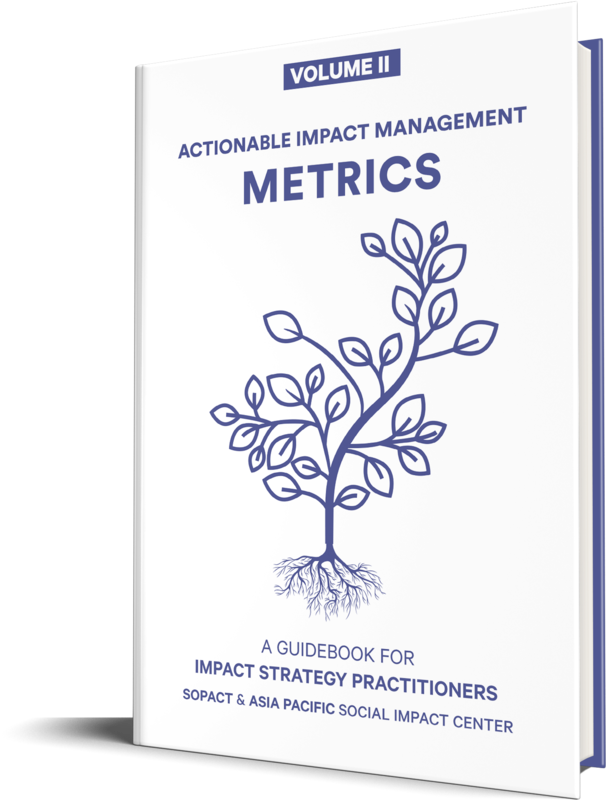 IRIS metrics are known for being widespread amongst the impact investing community. The decision to link IRIS with SDG Targets was to join two compatible worlds: global impact convergence & impact investment. As we saw with the Millennium Development Goals, social impact measurement paired with realistic expectations is vital for the endurance of any process for convergence. The Sustainable Development Goals were born out of the international learnings of the MDG movement and represent the growing trends towards transparency, accountability, and strategic planning in social impact management. No matter how you do it, there are benefits to joining the movement. While Impact Investors are keen to find the right organizations to invest in, organizations are struggling with resources to carry out their missions. 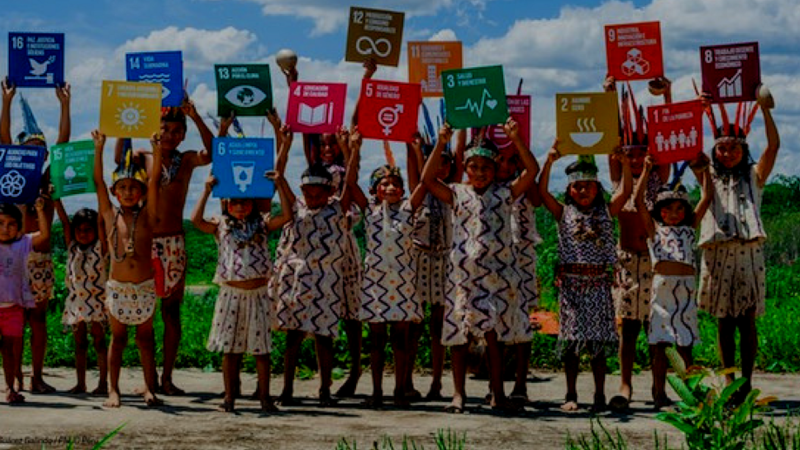 The SDG alignment serves as a middle-ground where they can find each other, quickly identify the match between their core values, and collaborate on achieving the impact goals that are closer to their hearts, but that will also enhance human development. Learn more about SDG Reporting. GIIRS Metrics are commonly known as IRIS Indicators are defined by GIIN. IRIS Metrics is a comprehensive IRIS catalog or database of indicators often used by impact investors and small growing businesses. 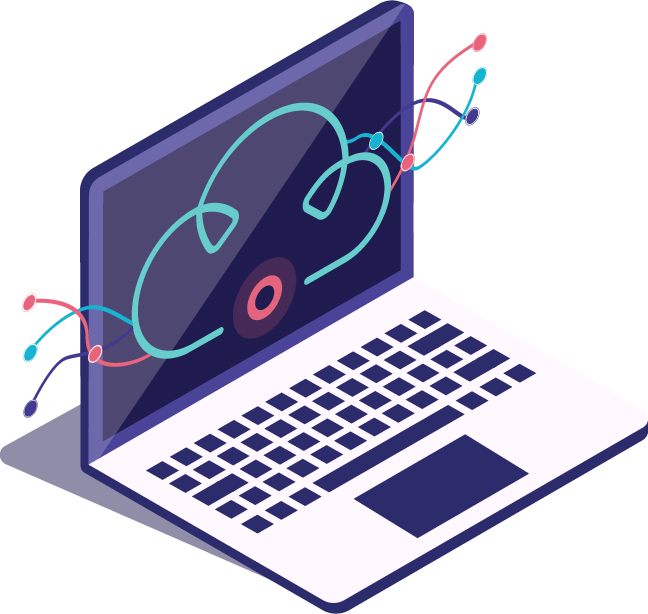 While IRIS Metrics is fairly adopted, there are many challenges with IRIS indicators mainly by limited scope in both comprehensiveness and context specific necessity by entrepreneurs. IRIS metrics are designed for small and growing businesses (SGB) to measure the social, environmental and financial performance of an investment. B Impact Assessment is a tool that allows impact investors allows to measure company’s overall social and environmental performance. 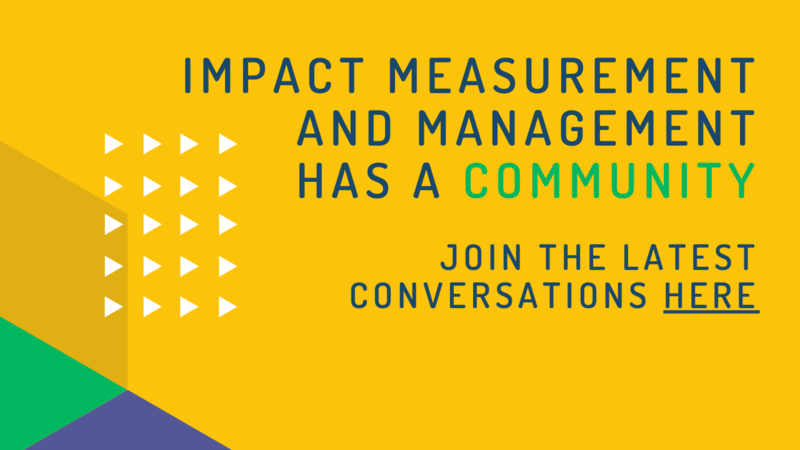 B Impact Assessment does so by measuring impact of a business on all stakeholders through an online platform. B Lab also provides a comprehensive tool called B Analytics on the other provides a tool that automatically aggregates and analyzes B Impact Assessment data from the companies impact investors work with. Standard metrics are an essential language to learn and use because they help us communicate with different stakeholders who may be accustomed to using that language because of its relevance for their context. It must be noted that, standard metrics have both pros and cons for social impact measurement. You’re communicating your impact to a particular audience (within a particular field). Think of standards as languages for communicating with particular audiences (including your funding source(s)). For example, if the stakeholder you are communicating with is an impact investor, 8 out of 10 times they will prefer to use IRIS metrics. There are lots of other languages as well: nonprofit languages, sustainability languages, environment languages, women’s empowerment languages, etc. You want to learn the best practices for writing metrics. Extensive research and development have already been completed. Even if you end up tweaking the standard to fit your needs, there are lessons you can learn from the standards catalogs.